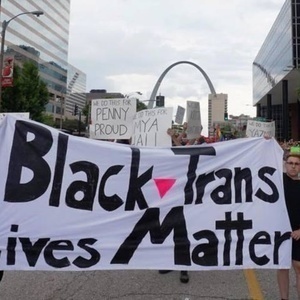 BGS 36: #BlackTransWomensLivesMatter | Black Girl Squee! We squee a lot in episode 36 of BGS. There's Black Girl Magic at The Oscars, Gina Torres pitches a Jessica Pearson spinoff and timeless treasures from Alice Coltrane find new life on vinyl. Our main topic is the epidemic of violence against Black trans women and other TWOC. Then we drag someone who still hasn't absorbed some of the basic tenets of intersectional feminism. It's only an hour but it's a journey, y'all! Please forgive any technical difficulties. From Tumblr user, SmartAssJen (Jen Richards): Want to Stop Trans Murders?